How do you get to the main port of Barcelona? Barcelona is home to a large cruise port, where each year millions of tourists embark and disembark, sailing through the Mediterranean and other sunny destinations. Some people choose to come a few days before boarding again, staying in a holiday apartment to visit the city. 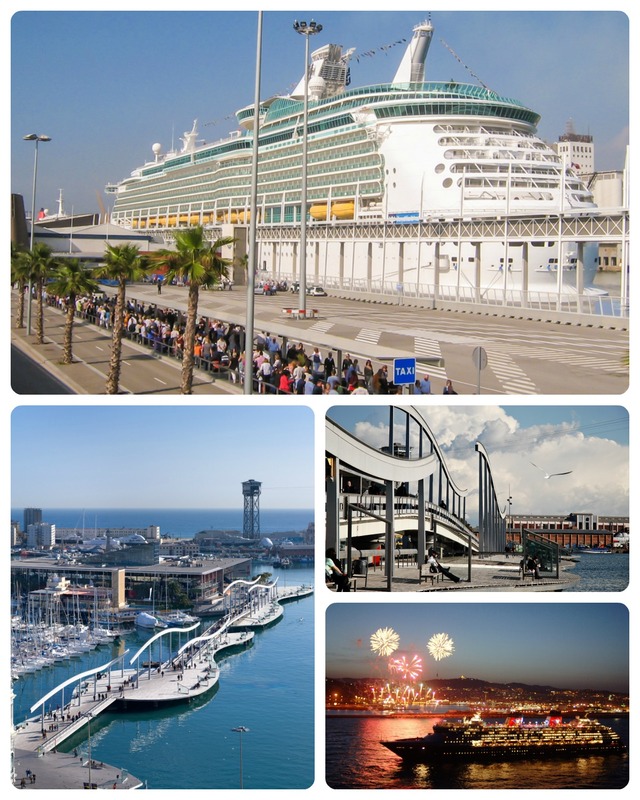 This article will help you figure out the best way to get to Barcelona port and your terminal. Ready to board? 2 How to get to Moll Adossat? 3 How to get to World Trade Center? 4 How to get to Port Vell? 5 How to get to Barcelona Port from outside of Barcelona? These terminals are furthest away from the city. There are 4, called Terminal A, B, C, and D respectively. This part of the port is where the biggest cruise ships dock and is located about 2 kilometres from Las Ramblas. This port is found relatively close to the end of Las Ramblas and is made up of Terminal North, East, and South. The World Trade Center pier is the docking point for smaller passenger ships than the ones at Moll Adossat. It's by Sant Bertrand terminal where Barcelona's ferries dock, taking you to local destinations such as Ibiza, Palma de Mallorca, and other Balearic islands. There are very few passenger ships that stop in this area, if any they are the smaller variety. The majority of boats in this area are smaller commercial and private ships. How to get to Moll Adossat? You can access the port by car, but always leave in advance and reserve a parking spot at the neighbouring World Trade Center pier. The walk from this parking garage is about 20 minutes walk away. If you go by taxi, you can find a cheaper parking garage to leave your car if you have one. Just like the airport, taking a taxi to the port has a supplemental charge, but they won't be allowed to charge you for any luggage. If you want a cheaper alternative to catching a taxi, the Port Bus service is for you. To catch this blue bus, go to Plaça de les Drassanes (where you find the Christopher Columbus statue), near Drassanes Metro station. The bus route visits each section of the port mentioned in this article (Moll Adossat, World Trade Center, and Port Vell - where it starts). It leaves roughly every 30 minutes - but this can vary depending on the time of the year - so while it visits every part of the port, it's only really worth catching if you're going to Moll Adossat. While it's very possible to walk to Moll Adossat, it's not as short of a walk as it seems. If you do choose this route then make sure you leave at least 45 minutes from departing Las Ramblas and follow the coastline across Montjuic to arrive on time. How to get to World Trade Center? This is the most convenient port to get to via car as it is where the parking garage is located. Expect to pay around €75 for 7 days, slightly higher than average. You will find it much more to use a safe and free place to park and then use public transport. Unlike Moll Adossat, you won't need a taxi nor the Port Bus service to get to the World Trade Center terminals as you can easily walk there from the nearest Metro station Drassanes (Line 3 of the city metro system). How to get to Port Vell? Because Port Vell is so easy to access, you hardly need to use a car at all. Port Vell is right by the Columbus monument at the end of Las Ramblas, which you can get to via the previously mentioned Drassanes metro station. How to get to Barcelona Port from outside of Barcelona? 5 Bad Traveling Habits that Cost Money and Time Here are 5 bad habits that many travelers make, so you can avoid making them yourself.